8kg Condenser Dryer is rated 2.3 out of 5 by 3. 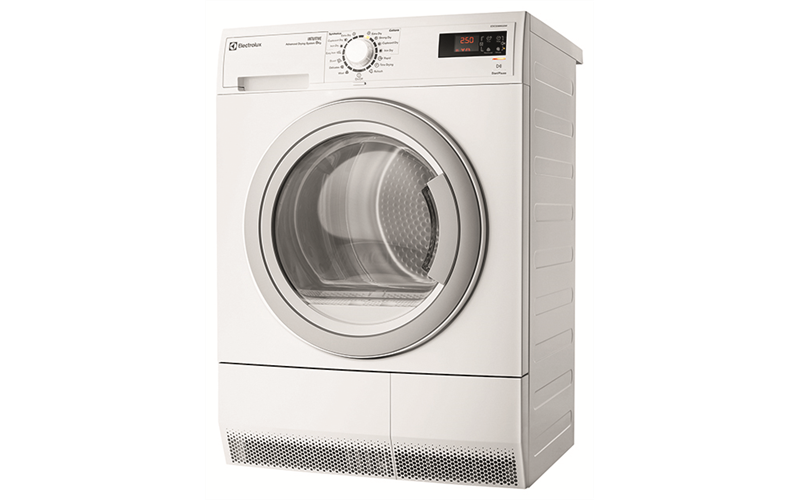 8kg Intuitive Condenser Dryer with 2 Stars Energy rating, Advanced Sensor Dry, Woolmark certified, reverse tumbling action and Refresh cycle. Your clothes will be dried perfectly with Advanced Sensor Dry. Humidity sensors are activated throughout each cycle to eliminate over drying, which can be harmful to fabrics. So, you enjoy optimal drying accuracy, along with exceptional care and performance. Everyones laundry is different. Thats why we designed a large reversible door to accommodate those tight spaces and side-by-side installations. You can easily change the direction of the door opening yourself to suit your requirements. 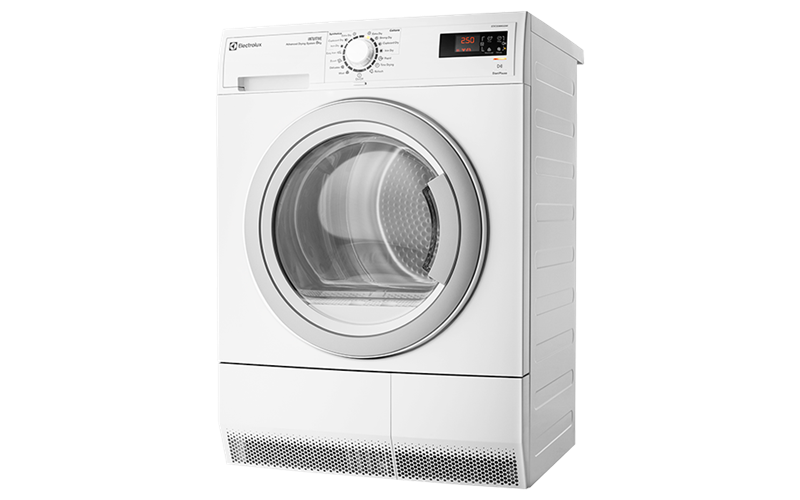 Plus, the large door size also allows you to load and unload your dryer with ease. The refresh cycle uses cool and hot air to refresh clothes that may have been in storage. Rated 5 out of 5 by Sean1 from Have owned LG, Asko, Electrolux & Bosch This dryer works seamlessly and as expected. I normally don't write reviews but I think it's important that people understand that non vented dryers require a bit of education. Small loads should be done on timed mode, and if you have a 1600rpm spin washing machine like I do, then cottons loads should be treated the same. Maintaining (Washing) the condenser regularly is also important. The main reason why I like my Electrolux over the Asko, LG or Bosch I've owned previously is the reverse tumbling which makes it better for my large towels and sheets. I went through and read a lot of reviews prior to my purchase and it seems the common complaint is things not drying properly. The reason I say this works seamlessly and as expected is that a condenser dryer is never as hot as an old vented dryer, it's great as I can dry my woollens on the wool program and not get damage, but to all the people writing bad reviews on all the brands of Condesner dryer that are out there, you proabably need to know they don't get as hot as the old dryers, and they ALL leave a little more moisture in the clothes. I would recommend this product over the other ones I've had/used. Rated 1 out of 5 by Tinkle from Thoroughly digusted I have an EPC2086PDW still under warranty. I am in my late 70's and had a drier all my married life but never one as terrible as this one. Is it too much to ask that when you pay out big cash for these sensor driers that they should dry the washing???? I think not. One shouldn't have to transfer washing from the drier to the hot water cupboard. I've tried every cycle and the washing is still damp. I am aware that this is a new way of drying but the machine I have is hopeless. Had someone out to have a look at it but he couldn't find anything wrong. That didn't help me get my bath mats etc dry.